Amarasabi School in WB. Already we have deployed three teachers in this school. to go with the 1st td students. In future we may go for more students. Reiew the attached Project report for more details. Yesterday (June 27, 2010), Uniforms, school bags and food plates were distributed to children of HIV affected parents living in a home at Madurai run by the Pneuma Trust. Out of the total 32 children, only 22 were present during the distribution as the rest 10 children have gone to their home for holiday. School bags, Uniforms and food plates amounting Rs.10,560 to all these children were distributed on that day in presence of Ms.Pauline, the Managing Trustee of Pneuma Trust and Mr.Rajan (father of Ms.Pauline) who supports her in running this home, Mr. Manikandan, Volunteer of Pneuma Trust. 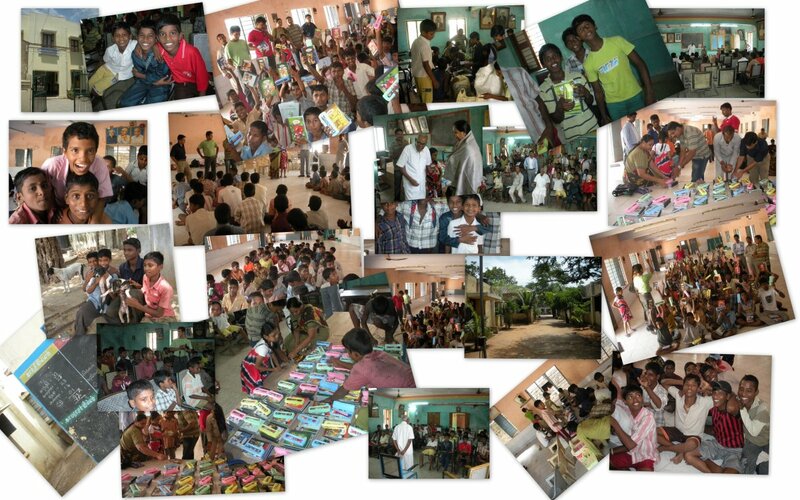 I along with three other volunteers distributed the materials to all the children. The distribution programme started with self introduction by all the children followed by introduction by volunteers. A short motivation talk was given by me and later materials were distributed to all the children. Children after receiving the materials made an oath to keep these materials safe and clean. They also thanked India Sudar who sponsored the materials. They were very happy to receive the materials and the Bag distributed had the name of India Sudar printed on it. They also promised to use the materials very effectively and safely. A small skit was performed by the children and then the programme was closed with a prayer song by all the children. Thanks to all those individuals who pledged their support for this initiative. I visited Panchayath Union primary school, Kuppuchipalayam (36kms from Erode) , KG Valasu near chennimalai, Erode dt on 20.06.2010. The school has 20 students only (one to 5th std). School has one headmaster and one teacher. Students from very poor background are studying in this school. Village is located very far from the town. Parents are from agriculture-labour background. School teacher (Mr.Daniel) takes care of the students with full interest and dedication. He collects fund from various well wishers and have done the following to the school students. 1. He is utilising all the government funds and infrastructure given by govt such as CDs, Books, and TV etc. 2. Students are able to understand simple English in the school campus. 3. Whenever time permits and/or holidays he brings the students to the campus and explains the subjects thru CDs and DVDs. 4. He collects fund from well wishers and keeps some note books, pencil, colour pencil, eraser etc. whenever student needs any stationary items, students can utilise those. 5. Arranged a trip to Ooty (students and parents)and explained the important places and information. 6. Since the students have not seen any circus, he arranged that for students and parents. All his activities can be seen from the following URL. School has one monitor and key board, mouse. He needs one CPU. (Costs around 7000 Rs.) This helps him to teach computer to students. In addition to that, if anyone wants to donate any of your old system, it can be utilised. 1. T.Ilayaraja (IAS-Madya pradesh) who introduced this school to Indiasudar. 2. V.Veerakumar – Volunteer and Teacher from kavunthapadi,erode dt. Name of the school; panchayath union primary school. About the school; opened in 1963,for the surrounding 4 villages ramaiyapuri,karambal,pallarpatti,&krishnapuram.very poor peoples,life based on the daily wages,very poor childrens,not get any support from thier families for thier education. Benifited students; 1 to 5th std,totally 50 students. I have visited to Rotary Nagar Slum, Mylapur & Kabali Nagar to see Mr.Morarji Desai(+91-97908-11339) education service through Turning Point on 19-Jun-2010. 1. About: Mr.Morarji Desai working as full time social worker in some NGO, other then this he started Learning center and computer center for three slums in Chennai through Turning Point. 2.1 They are running following three learning center for local government/aided school student. This centers starts from 4.30 Pm runs till 7.30. Currently they have 5 volunteer teaching as part time. Out of this 5 volunteers, 2 from Queen Marys College and 1 from jain college. Rotary Nagar, Mylapore(Near to Light House Railway Station) – Running at Rotary hall. 2.2 Students who benefited based on this center. Rotary Nagar, Mylapore Center : 74 students studying in this center from 1st standard to 10th standard. They are from Kesari H.S School, C.S.I Kallect HS School , Lady williant H.S.Schoo, P.S North H.S School, N.K.T.H.S.School. Kabali Nagar : 40 students studying in this center & they are from ICE House school. 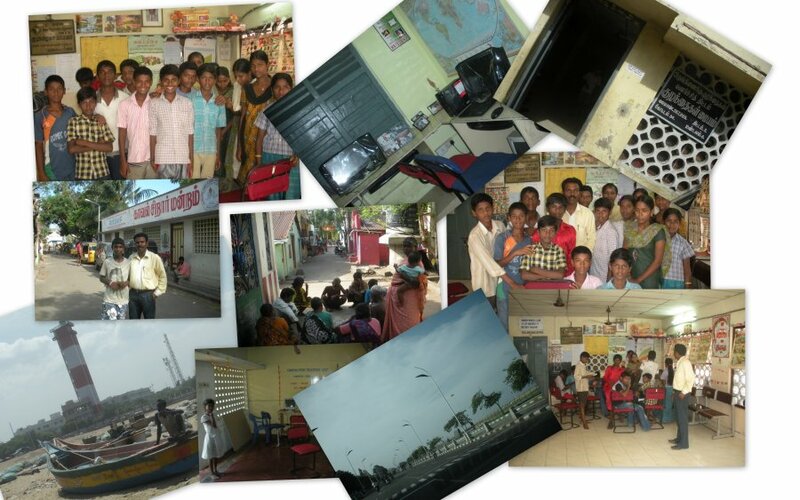 Mayandi Kalani : 40 students studying in this center & they are from T.Nagar, Griyaroad. 2.3 Computer Center: Currently they have two small computer centers which contain 4 computers. Already rotary supporting this center. 3.2 Career Guidance for this 3 learning center. 3.3 Education material(Only Long note books – 100) for students. 3.4 Individual student help (Only for selected student) to pay fees/education material.